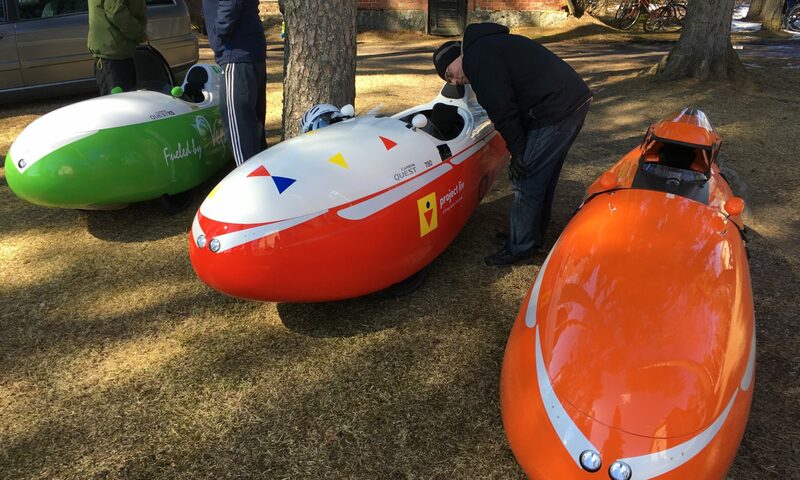 We planned with the other Ostrobothnian velonauts (West Coast Velomobile Riders) that we meet at Kovjoki railway station at May Day (Vappu in Finnish). There was a May Day event. We agreed that we meet first in the center of Jakobstad and then take some route to Kovjoki. 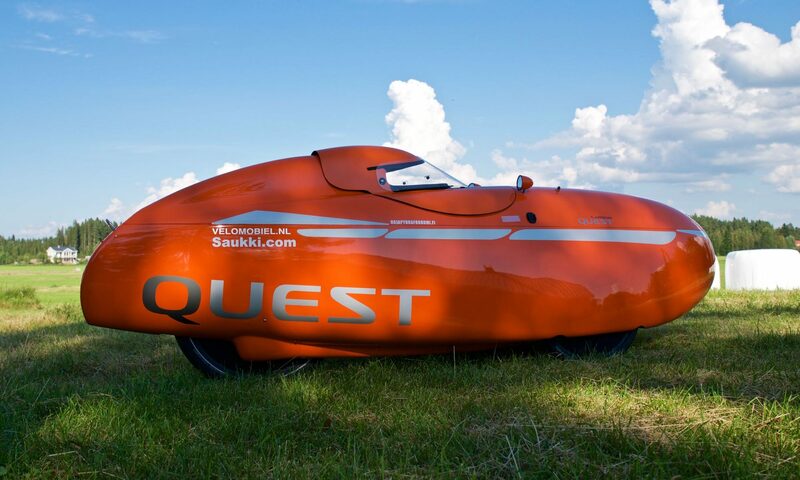 It was very windy weather when I left with my Quest head wind towards Jakobstad. 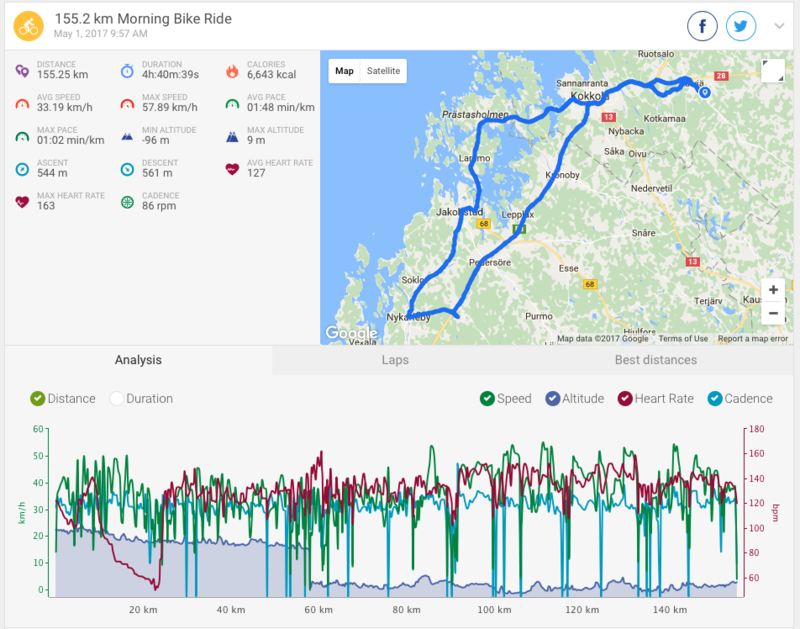 I rode my usual route to Kokkola and then on the scenic route to Jakobstad through Larsmo. In the city centre I met Leif (Quest) and Fredrik (Quest XS). The three of us continued our journey to Nykarleby, where we stoped at the market square, but there was not much to see. 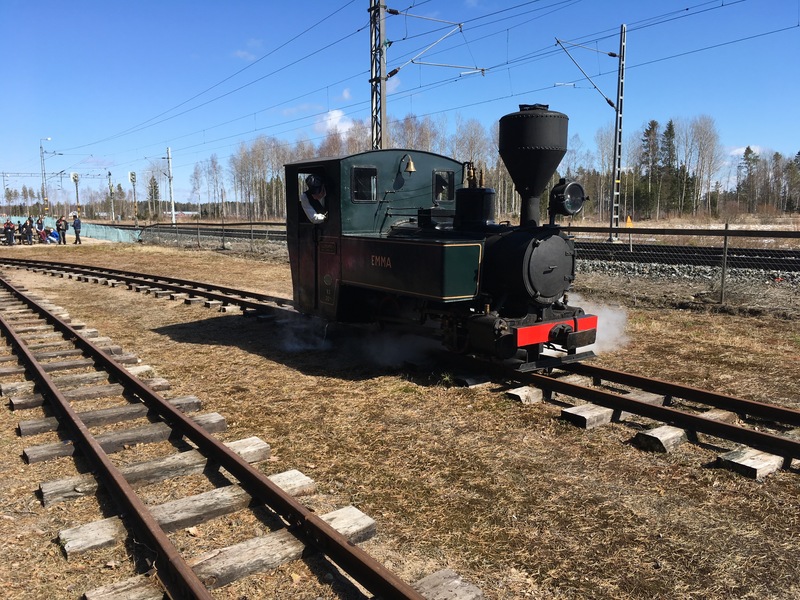 From there, we rode directly to the Kovjoki station May Day (Vappu) event. There was quite a lot of people at the Vappu event. And there was sausage, pancakes, meat soup and icecream. 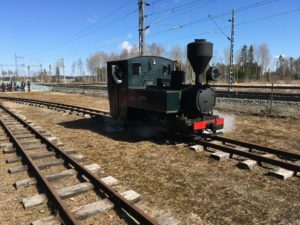 There was also a railway museum, where was an old steam locomotive puffing along. And there we presented our velomobiles to interested people. We then continued our journey so that Leif went back to his home to Nykarleby and I took the shortest route back home, because I had already a 90 kilometers trip behind. Fredrik went to accompany me back to Kokkola. Halfway we stopped at a gas station. 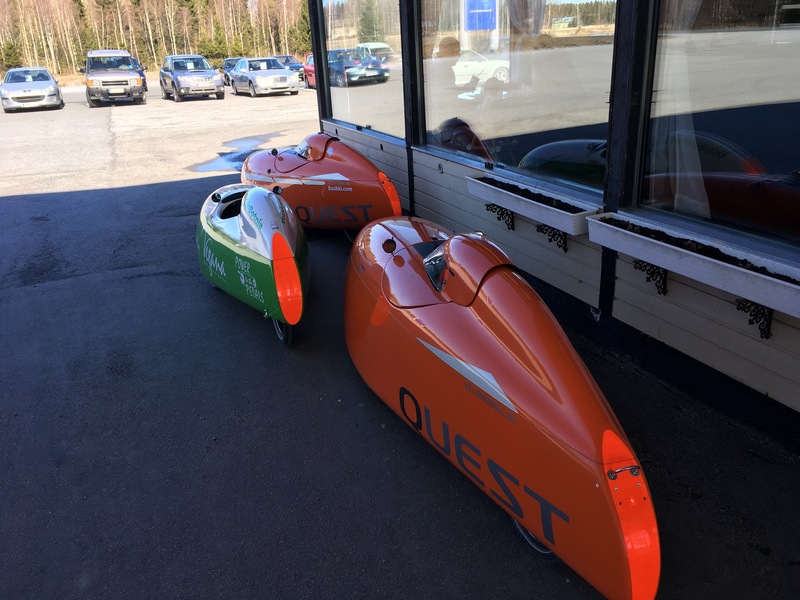 There was Frederik with his orange Quest (note the resemblance ). Frederik still had winter tires on his Quest. A little way he was able to keep up with our pace towards Kokkola, but then finally decided to turn back. We continued with Fredrik to Kokkola, where we took a break. After that I continued to my home in Kälviä and Fredrik went back to Jakobstad. This was certainly a really nice trip, even though it was very windy all the time. My total distance was 155 kilometers. Here is a short video summary of the whole trip. 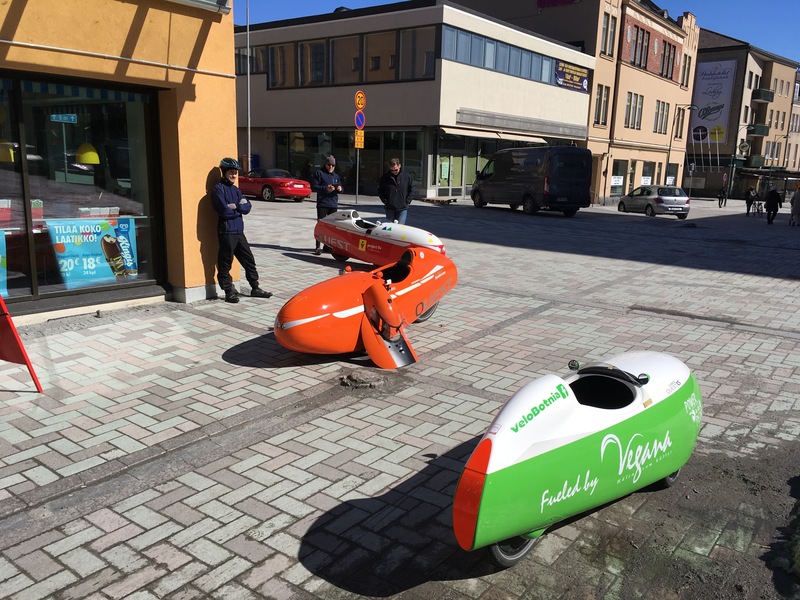 We have by the way our own Facebook page VeloBotnia with information about velomobiles in Finnish and Swedish. Check it out. Edellinen artikkeliEdellinen Takarenkaassa klappia. / Wobbly rear wheel.